Fire. Floods. Earthquakes. Medical emergencies. Tornados. Hurricanes. And even domestic terrorism often strike without warning. But you don't have to be taken by surprise. 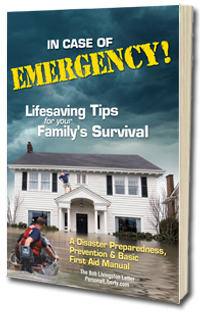 This essential handbook reveals proven survival strategies, disaster-preparedness techniques and the very best first aid information to help you prepare for even the worst catastrophes. You'll discover. Personal security precautions to avoid becoming a victim of crime or terrorist attack.